Tonya is an experienced Human Resources professional who brings solid management and practical consulting skills to the HR profession. Her 20 years of experience in HR Business Partnership, Compliance, Performance Management, Employee Relations, Training and Development, Organizational Structure and HR Administration allows Tonya to lead as a top-tier HR manager. Before joining ConnectedHR, Tonya served as the Human Resources Manager for Emerson Network Power, Energy Systems, North America where she managed all aspects of the human resources function as well as providing direct support for 400 plus employees. 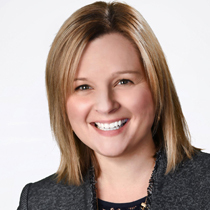 Prior to Emerson, she led the human resources department as the HR manager at Commercial Ullman Lubricants, Co. Tonya’s HR career started with the law firm Benesch, Friedlander, Coplan and Aronoff. Tonya has a Bachelor’s Degree from Miami University and an M.B.A from Cleveland State University. Tonya and her family resides in Northeast Ohio. She very much enjoys traveling and spending time with her children. Tonya is a true HR professional who works hard to learn and understand her client’s business, culture, and team so she can be a strong strategic HR business partner. She enjoys effectively working with business leaders to create and efficiently execute on-target HR strategies that position organizations to grow and flourish.